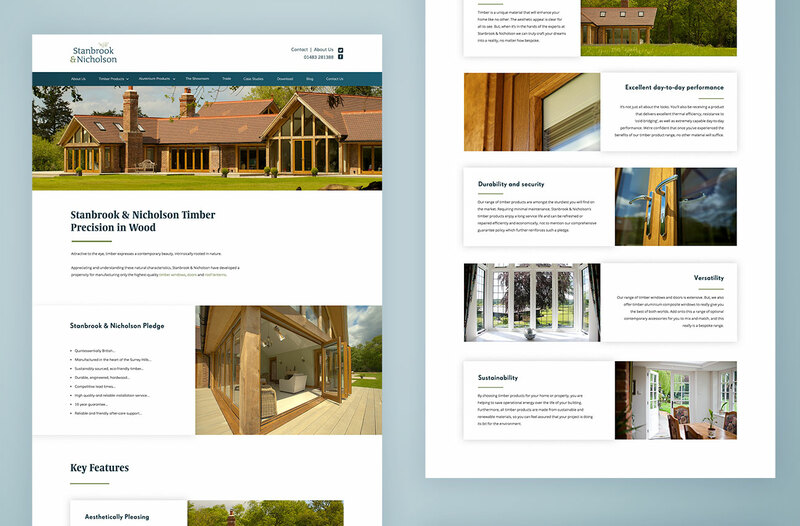 Creative Pod were approached by Stanbrook and Nicholson, a designer, manufacturer and installer of bespoke timber windows, doors and roof lanterns, when their in-house marketeer left the company. They chose to work with us rather than employ a single in-house source as it would allow them to tap into our multiple skills and expertise. Our brief was to update their existing brand, in line with their 10 year anniversary celebrations, to allow them to target and build a different audience. We worked with Stanbrook and Nicholson to evolve the existing brand, initially creating a new, aesthetically powerful website that truly reflected their core values and offering. 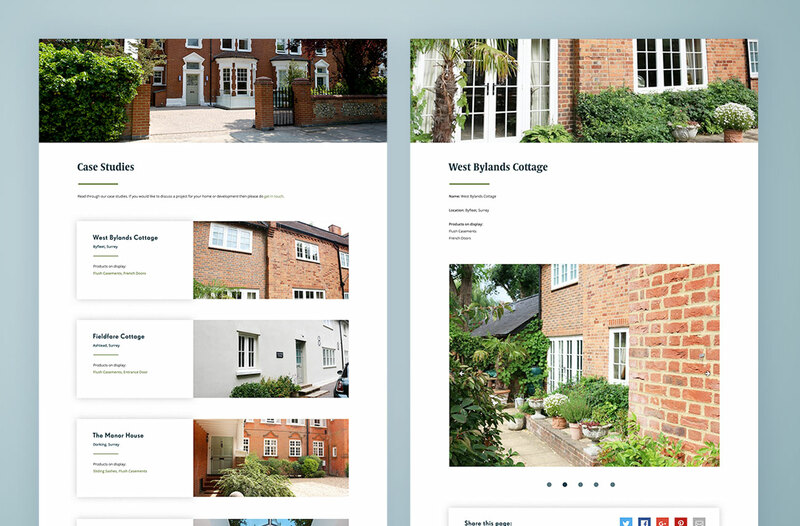 Gradually we rolled out additional changes across a range of different marketing channels and platforms to drive more traffic to the site and increase enquiries. All feedback from the project has been fantastic and has resulted in Stanbrook and Nicholson using Creative Pods services on a retainer basis for all of their marketing and design needs. Our brief was to update their existing brand, in line with their 10 year anniversary celebrations, to allow them to target and build a different audience. 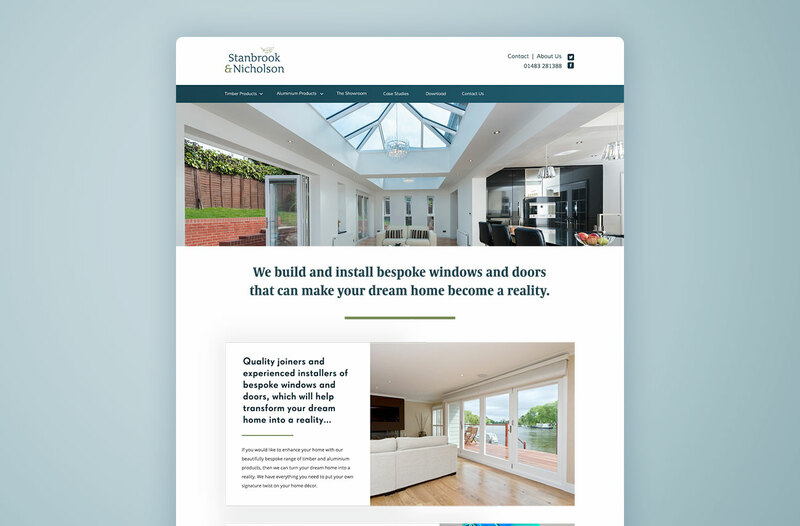 We worked with Stanbrook and Nicholson to evolve the existing brand, initially creating a new, aesthetically powerful website that truly reflected their core values and offering.